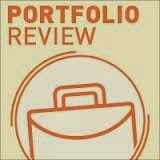 Just a reminder that the Cincinnati Animation Network's portfolio review is this Thursday Jan 30th from 4pm to 6pm. We will be meeting in room 3A of the main branch of the Cincinnati Public Library. Allison Craig (a super talented animator at Titmouse) and Christina Wald (a super talented illustrator who runs her own illustration business) will be there to give feedback on portfolios and answer any questions or concerns you may have about working in animation/illustration. And I (Darcy Vorhees) will be there too, doing the same. The room we're in has wifi, so that's good. I will bring a PC laptop so we can look at stuff online. If you want to bring printouts or a select group of originals or a laptop or other device to show your work on, feel free. I'd prefer not to have to transfer files onto my computer though. Christina suggested that parking on Court Street would probably be the best option. Feel free to email me (Darcy) at cincycan@gmail.com if you want more info or to let me know if you're going to be late.